Since our CSA has started back for the fall season we have hopped on the winter squash bandwagon. We have had spaghetti, acorn, butternut, and - for the first time - delicata squash! My apologies for not putting something for size next to the squash but it is much smaller than its winter squash cousins. You can prepare this much like the other winter squash varieties - slicing in half, scooping out the seeds, and roasting. We, however, chose to slice the squash into rings, push out the seeds, and roast with the skin on. We paired the roasted delicata squash with a mixed greens salad and zucchini fritters. This is the salad recipe from the blog that I used as inspiration. I followed the preparation for the delicata squash but did not use pomegranate, pepitas, or feta. We substituted dried cranberries, sunflower seeds, and goat cheese. I did make the vinaigrette and it was amazing. I had extra zucchini from making muffins and instead of making more muffins decided to make zucchini fritters. To about 1 cup shredded zucchini I added an egg, cornmeal, and whole wheat flour until desired thickness (to hold shape). I plopped them into a hot pan with a little olive oil and flattened them out, turning over once browned. What are your favorite winter squash? This all looks good. 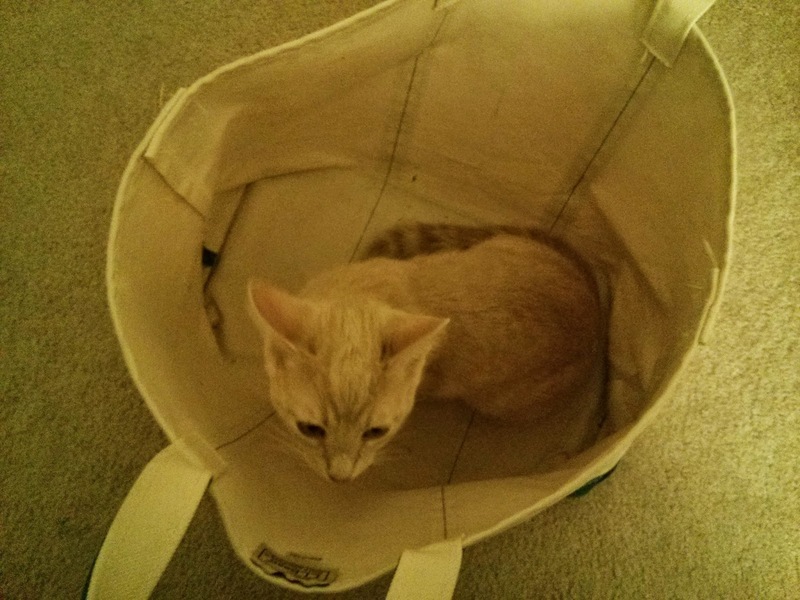 Also like the cat in the bag.